и потребностями развития детей дошкольного возраста, сталкивающихся с проблемами. Представлено конкретное руководство для авторов программ и административно-управленческого персонала, стремящихся разработать целенаправленные программы, которые будут эффективно работать на пользу развития детей. * Kaspar Burger (2015) Effective early childhood care and education: Successful approaches and didactic strategies for fostering child development, European Early Childhood Education Research Journal. Vol. 23, No. 5, 743–760, http://dx.doi.org/10.1080/1350293X.2014.882076. 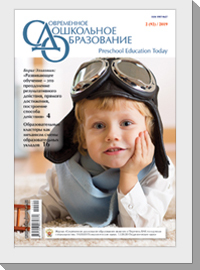 Публикуется с любезного разрешения журнала European Early Childhood Education Research Journal. В настоящей работе представлен анализ практических исследований для установления педагогических стратегий, которые оказывают эффективное положительное влияние на развитие детей. В статье кратко изложены полученные в ходе исследований научно обоснованные практики, применяемые в дошкольном образовании. В частности, рассмотрены стратегии, которые способствуют развитию языковых, математических и социально-эмоциональных навыков у детей. Таким образом, сделана попытка определить набор стратегий, которые послужат повышению эффективности дошкольного образования. При этом важно убедительно доказать полезность предлагаемого подхода не только ученым, но и персоналу, работающему в сфере дошкольного образования, а также авторам программ, которым необходима информация практической направленности, раскрывающая возможности развития навыков детей в различных сферах. Данная статья не является исчерпывающим обзором в том смысле, что в нее включены не все исследования, посвященные изучению данных вопросов и опубликованные за рассматриваемый период времени. В статье сделан акцент на факты, полученные в исследованиях, имеющих практическую значимость для развития детей. В связи с этим данная работа излагает педагогические стратегии, положительно влияющие на освоение навыков, которые необходимы, чтобы справиться с повседневными вызовами в дошкольный и школьный периоды. Она состоит из трех основных разделов, отражающих стратегии, способствующие развитию языковых навыков, математических навыков, социально-эмоциональных навыков. Кроме того, в статье обсуждаются этические аспекты развития ребенка, а также подведены итоги, каким образом может быть оказано эффективное содействие развитию детей. 1. Adamson, L. 1995. Communication Development During Infancy. Madison: Brown & Benchmark. 2. Anderson, R. C., and P. Freebody. 1981. “Vocabulary Knowledge.” In Reading Comprehension and Education, edited by J. T. Guthrie, 77–117. Newark: International Reading Association. 3. Arnold, D. H., P. H. Fisher, G. L. Doctoroff, and J. Dobbs. 2002. “Accelerating Math Development in Head Start Classrooms.” Journal of Educational Psychology 94 (4): 762–770. 4. August, D., M. Carlo, C. Dressler, and C. Snow. 2005. “The Critical Role of Vocabulary Development for English Language Learners.” Learning Disabilities Research & Practice 20 (1): 50–57. 5. Baumann, J. F., and E. J. Kame’enui. 1991. “Research on Vocabulary Instruction: Ode to Voltaire.” In Handbook on Research on the Teaching of English Language Arts, edited by J. Flood, J. M. Jensen, D. Lapp, and J. R. Squire, 604–632. New York: Macmillan. 6. Bierman, K. L., C. E. Domitrovich, R. L.Nix, S. D. Gest, J. A. Welsh, et al. 2008. “Promoting Academic and Socio-Emotional School Readiness: The Head Start REDI Program.” Child Development 79 (6): 1802–1817. 7. Bowman, B. T., S. Donovan, and M. S. Burns, eds. 2001. Eager to Learn: Educating Our Preschoolers. Washington: National Academy Press. 8. Brent, M. R., and J. M. Siskind. 2001. “The Role of Exposure to Isolated Words in Early Vocabulary Development.” Cognition 81: B33–B44. 9. Broadhead, P., J. Johnston, C. Tobbell, and R. Woolley. 2010. Personal, Social and Emotional Development. London: Continuum. 10. Carlisle, J. F. 2007. “Fostering Morphological Processing, Vocabulary Development, and Reading Comprehension.” In Vocabulary Acquisition: Implications for Reading Comprehension, edited by R. K. Wagner, A. E. Muse, and K. R. Tannenbaum, 78–103. New York: Guilford Press. 11. Clements, D. H., and J. Sarama. 2011. “Early Childhood Mathematics Intervention.” Science 333: 968–970. 12. Clements, D. H., and J. Sarama. 2007. “Effects of a Preschool Mathematics Curriculum: Summative Research on the Building Blocks Project.” Journal for Research in Mathematics Education 38 (2): 136–163. 13. Clements, D. H., J. Sarama, M. E. Spitler, A. A. Lange, and C. B. Wolfe. 2011. “Mathematics Learned by Young Children in an Intervention Based on Learning Trajectories: A Large-Scale Cluster Randomized Trial.” Journal for Research in Mathematics Education 42 (2): 127–166. 14. Denham, S. A. 2006. “Social-Emotional Competence as Support for School Readiness: What is it and how do we Assess it?” Early Education & Development 17 (1): 57–89. 15. Domitrovich, C. E., R. C. Cortes, and M. T. Greenberg. 2007. “Improving Young Children’s Social and Emotional Competence: A Randomized Trial of the Preschool “PATHS” Curriculum.” The Journal of Primary Prevention 28 (2): 67–91. 16. Esser, H. 2006. Migration, Language and Integration (AKI Research Review 4). Berlin: Arbeitsstelle Interkulturelle Konflikte und gesellschaftliche Integration. 17. Grant, C. B., and A. D. McLaughlin. 2001. Language-Meaning-Social Construction: Interdisciplinary Studies. New York: Rodopi. 18. Griffin, S. A. 2004. “Building Number Sense with Number Worlds: A Mathematics Program for Young Children.” Early Childhood Research Quarterly 19: 173–180. 19. Griffin, S. A., R. Case, and R. S. Siegler. 1994. “Rightstart: Providing the Central Conceptual Prerequisites for First Formal Learning of Arithmetic to Students at Risk for School Failure.” In Classroom Lessons: Integrating Cognitive Theory and Classroom Practice, edited by K. McGilly, 25–49. Cambridge, MA: MIT Press. 20. Gross, D., L. Fogg, C. Webster-Stratton, C. W. J. Garvey, and J. Grady. 2003. “Parent Training with Multi-Ethnic Families of Toddlers in Day Care in Low-Income Urban Communities.” Journal of Consulting and Clinical Psychology 71 (2): 261–278. 21. Guralnick, M. J. 2010. “Early Intervention Approaches to Enhance the Peer-Related Social Competence of Young Children with Developmental Delays: A Historical Perspective.” Infants & Young Children 23 (2): 73–83. 22. Haden, C. A., E. Reese, and R. Fivush. 1996. “Mothers’ Extra-Textual Comments During Storybook Reading: Stylistic Differences Over Time and Across Texts.” Discourse Processes 21 (2): 135–169. 23. Hancock, T. B., and A. P. Kaiser. 2006. “Enhanced Milieu Teaching.” In Treatment of Language Disorders in Children, edited by R. J. McCauley and M. E. Fey, 203–236. Baltimore: Brookes. 24. Hart, B., and T. Risley. 1975. “Incidental Teaching of Language in the Preschool.” Journal of Applied Behavior Analysis 8 (4): 411–420. 25. Hart, B., and T. Risley. 1995. Meaningful Differences in the Everyday Experience of Young American Children. Baltimore: Brookes. 26. Hart, B., and T. Risley. 1999. The Social World of Children Learning to Talk. Baltimore: Brookes. 27. Hollingsworth, J., and S. Ybarra. 2009. Explicit Direct Instruction (EDI): The Power of the Well-Crafted, Well-Taught Lesson. Thousand Oaks: Corwin. 28. Hurtado, N., V. A. Marchman, and A. Fernald. 2008. “Does Input Influence Uptake? Links between Maternal Talk, Processing Speed and Vocabulary Size in Spanish-Learning Children.” Developmental Science 11 (6): F31–F39. 29. Huttenlocher, J., W. Haight, A. Bryk, M. Seltzer, and T. Lyons. 1991. “Early Vocabulary Growth: Relation to Language Input and Gender.” Developmental Psychology 27 (2): 236–248. 30. Jordan, N. C., D. Kaplan, C. Ramineni, and M. N. Locuniak. 2009. “Early Math Matters: Kindergarten Number Competence and Later Mathematics Outcomes.” Developmental Psychology 45: 850–867. 31. Joseph, G. E., and P. S. Strain. 2003. “Comprehensive Evidencebased Social-Emotional Curricula for Young Children: An Analysis of Efficacious Adoption Potential.” Topics in Early Childhood Special Education 23 (2): 62–73. 32. Juffer, F., M. J. Bakermans-Kranenburg, and M. H. van Ijzendoorn. 2005. “Enhancing Children’s Socioemotional Development: A Review of Intervention Studies.” In Handbook of Research Methods in Developmental Science, edited by D. M. Teti, 213–232. Malden: Blackwell. 33. Kaiser, A. P., and J. A. Trent. 2007. “Communication Intervention for Young Children with Disabilities: Naturalistic Approaches to Promoting Development.” In Handbook of Developmental Disabilities, edited by S. Odom, R. Horner, M. Snell, and J. Blacher, 224–246. New York: Guilford. 34. Kaiser, A. P., P. J. Yoder, and A. Keetz. 1992. “Evaluating Milieu Teaching.” In Causes and Effects in Communication and Language Intervention, edited by S. Warren and J. Reichle, 9–47. Baltimore: Brookes. 35. Kazdin, A. E., D. K. Esveldt, N. H. French, and A. S. Unis. 1987. “Effects of Parent Management Training and Problem-Solving Skills Training Combined in the Treatment of Antisocial Child Behavior.” Journal of the American Academy of Child and Adolescent Psychiatry 26 (3): 416–424. 36. Kinder, D., and D. Carnine. 1991. “Direct Instruction: What it is and what it is Becoming.” Journal of Behavioral Education 1 (2): 193–213. 37. Klein, A., P. Starkey, D. Clements, J. Sarama, and R. Iyer. 2008. “Effects of a Pre-Kindergarten Mathematics Intervention: A Randomized Experiment.” Journal of Research on Educational Effectiveness 1 (3): 155–178. 38. Korczak, J. 1991. When I am Little Again / The Child’s Right to Respect. Lanham: University Press of America. 39. Korczak, J. 2008. Wie man ein Kind lieben soll [How to love a child]. Göttingen: Vandenhoeck & Ruprecht. 40. Kraft, B. L., and R. M. Santos. 1997. “Integrating Effective Teaching Literature with Literature on Instruction in the Natural Environment.” Exceptionality: A Special Education Journal 7 (2): 139–141. 41. Landry, S. H., P. R. Swank, K. E. Smith, M. A. Assel, and S. B. Gunnewig. 2006. “Enhancing Early Literacy Skills for Preschool Children: Bringing a Professional Development Model to Scale.” Journal of Learning Disabilities 39 (4): 306–324. 42. LeBlanc, L. A., J. Esch, T. M. Sidener, and A. M. Firth. 2006. “Behavioral Language Interventions for Children with Autism: Comparing Applied Verbal Behavior and Naturalistic Teaching Approaches.” The Analysis of Verbal Behavior 22: 49–60. 43. Lever, R., and M. Sénéchal. 2011. “Discussing Stories: On How a Dialogic Reading Intervention Improves Kindergartners’ Oral Narrative Construction.” Journal of Experimental Child Psychology 108: 1–24. 44. Mashburn, A. J., L. M. Justice, J. T. Downer, and R. C. Pianta. 2009. “Peer Effects on Children’s Language Achievement During Pre-Kindergarten.” Child Development 80: 686–702. 45. McMahon, S. D., J. Washburn, E. D. Felix, J. Yakin, and G. Childrey. 2000. “Violence Prevention: Program Effects on Urban Preschool and Kindergarten Children.” Applied and Preventive Psychology 9: 271–281. 46. Mervis, C. B. 1983. “Acquisition of a Lexicon.” Contemporary Education 8 (3): 210–236. 47. Mol, S. E., A. G. Bus, and M. T. DeJong. 2009. “Interactive Book Reading in Early Education: A Tool to Stimulate Print Knowledge as Well as Oral Language.” Review of Educational Research 79 (2): 979–1007. 48. Nadel, J., and D. Muir, eds. 2005. Emotional Development. Oxford: Univ. Press. 50. Oller, D. K., R. E. Eilers, D. Basinger, M. L. Steffens, and R. Urbano. 1995. “Extreme Poverty and the Development of Precursors to the Speech Capacity.” First Language 15: 167–187. 51. Penno, J. F., I. A. Wilkinson, and D. W. Moore. 2002. “Vocabulary Acquisition from Teacher Explanation and Repeated Listening to Stories: Do they Overcome the Matthew Effect?” Journal of Educational Psychology 94 (1): 23–33. 52. Powell, D., and G. Dunlap. 2009. Evidence-Based Social-Emotional Curricula and Intervention Packages for Children 0-5 years and their Families (roadmap to effective intervention practices). Tampa: University of South Florida. 53. Ramani, G. B., and R. S. Siegler. 2008. “Promoting Broad and Stable Improvements in Low-Income Children’s Numerical Knowledge Through Playing Number Board Games.” Child Development 79: 375–394. 54. Ramani, G. B., and R. S. Siegler. 2011. “Reducing the Gap in Numerical Knowledge between Low– and Middle-Income Preschoolers.” Journal of Applied Developmental Psychology 32: 146–159. 55. Raver, C. C. 2002. “Emotions Matter: Making the Case for the Role of Young Children’s Emotional Development for Early School Readiness.” Social Policy Report XVI (3): 3–18. 56. Raver, C. C., and J. Knitzer. 2002. Ready to Enter: What Research Tells Policymakers about Strategies to Promote Social and Emotional School Readiness Among Three– and Four-Year-Old Children (Policy Paper No. 3). New York: National Center for Children in Poverty. 57. Raver, C. C., and E. F. Zigler. 1997. “Social Competence: An Untapped Dimension in Evaluating Head Start’s Success.” Early Childhood Research Quarterly 12: 363–385. 58. Reynolds, A. J., J. A. Temple, D. L. Robertson, and E. A. Mann. 2001. “Long-Term Effects of an Early Childhood Intervention on Educational Achievement and Juvenile Arrest: A 15-year Follow-up of Low-Income Children in Public Schools.” JAMA 285 (18): 2339–2346. 59. Robbins, C., and L. Ehri. 1994. “Reading Storybooks to Kindergartners Helps them Learn New Vocabulary Words.” Journal of Educational Psychology 86 (1): 54–64. 60. Rogers-Warren, A., and S. F. Warren. 1980. “Mands for Verbalization: Facilitating the Display of Newly Trained Language in Children.” Behavior Modification 4: 361–382. 61. Roulstone, S., J. Law, R. Rush, J. Clegg, and T. Peters. 2011. Investigating the Role of Language in Children’s Early Educational Outcomes (Research Report DFE-RR134). Bristol: University of the West of England. 62. Sénéchal, M., S. Pagan, R. Lever, and G. Ouellette. 2008. “Relations Among the Frequency or Shared Reading and 4-Year-Old Children’s Vocabulary, Morphological and Syntax Comprehension, and Narrative Skills.” Early Education and Development 19: 27–44. 63. Serna, L., E. Nielsen, K. Lambros, and S. Forness. 2000. “Primary Prevention with Children at Risk for Emotional or Behavioral Disorders: Data on a Universal Intervention for Head Start Classrooms.” Behavioral Disorders 26 (1): 70–84. 64. Shure, M. 1994. I can Problem Solve (ICPS): An Interpersonal Cognitive Problem-Solving Program for Children. Champaign: Research Press. 65. Sigel, I. E. 1987. “Does Hothousing Rob Children of their Childhood?” Early Childhood Research Quarterly 2: 211–225. 66. Siegler, R. S., and G. B. Ramani. 2008. “Playing Linear Numerical Board Games Promotes Low-Income Children’s Numerical Development.” Developmental Science 11 (5): 655–661. 67. Stanovich, K. E. 1986. “Matthew Effects in Reading: Some Consequences of Individual Differences in Acquisition of Literacy.” Reading Research Quarterly 21: 360–407. 68. Starkey, P., A. Klein, and A. Wakeley. 2004. “Enhancing Young Children’s Mathematical Knowledge Through a Pre-Kindergarten Mathematics Intervention.” Early Childhood Research Quarterly 19: 99–120. 69. Storch, S. A., and G. J. Whitehurst. 2003. “Oral Language and Code-Related Precursors to Reading: Evidence from a Longitudinal Structural Model.” Developmental Psychology 38: 935–947. 70. Sweeting, T., and J. E. Rink. 1999. “Effects of Direct Instruction and Environmentally Designed Instruction on the Process and Product Characteristics of a Fundamental Skill.” Journal of Teaching in Physical Education 18 (2): 216–233. 71. Underwood, M. K., and L. H. Rosen, eds. 2011. Social Development: Relationships in Infancy, Childhood, and Adolescence. New York: Guilford Press. 72. Walker, D., C. R. Greenwood, B. Hart, and J. J. Carta. 1994. 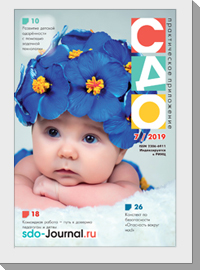 “Improving the Prediction of Early School Academic Outcomes Using Socioeconomic Status and Early Language Production.” Child Development 65: 606–621. 73. Warren, S. F., and D. Walker. 2005. “Fostering Early Communication and Language Development.” In Handbook of Research Methods in Developmental Science, edited by M. T. Douglas, 249–270. Malden: Blackwell. 74. Wasik, B. A. 2006. “Building Vocabulary One Word at a Time.” Young Children 61 (6): 70–78. 75. Wasik, B. A., and M. A. Bond. 2001. “Beyond the Pages of a Book: Interactive Book Reading and Language Development in Preschool Classrooms.” Journal of Educational Psychology 93: 243–250. 76. Webster-Stratton, C. 1999. How to Promote Children’s Social and Emotional Competence. London: Sage. 77. Webster-Stratton, C., and M. J. Reid. 2004. “Strengthening Social and Emotional Competence in Young Children – The Foundation for Early School Readiness and Success: Incredible Years Classroom Social Skills and Problem-Solving Curriculum.” Infants & Young Children 17 (2): 96–113. 78. Webster-Stratton, C., M. Reid, and M. Hammond. 2001. “Preventing Conduct Problems, Promoting Social Competence: A Parent and Teacher Training Partnership in Head Start.” Journal of Clinical Child Psychology 30 (3): 283–302. 79. Whitehurst, G. J., F. L. Falco, C. J. Lonigan, J. E. Fischel, B. D. DeBaryshe, M. C. Valdez-Menchaca, and M. B. Caufield. 1988. “Accelerating Language Development Through Picture Book Reading.” Developmental Psychology 24 (4): 552–559. 80. Worthington, E. 2011. The Effectiveness of Milieu Language Strategies on the English Language Growth of Head Start Children Learning English as a Second Language. (Theses and Dissertations, Paper 12025). Iowa: Digital Repository@Iowa State University. 81. Yoder, P. J., A. P. Kaiser, H. Goldstein, C. Alpert, L. Mousetis, L. Kaczmarek, and R. Fischer. 1995. “An Exploratory Comparison of Milieu Teaching and Responsive Interaction in Classroom Applications.” Journal of Early Intervention 19 (3): 218–242. 82. Yoshikawa, H. 1994. “Prevention as Cumulative Protection: Effects of Early Family Support and Education on Chronic Delinquency and its Risks.” Psychological Bulletin 115 (1): 28–54. 83. Young-Loveridge, J. M. 2004. “Effects on Early Numeracy of a Program Using Number Books and Games.” Early Childhood Research Quarterly 19 (1): 82–98. Бюргер К. Эффективное дошкольное образование: успешные подходы и дидактические стратегии содействия развитию ребенка // Современное дошкольное образование. Теория и практика. – 2017. – №3. – С.48–62.